At WindowGeeks, we are the no.1 choice if you require conservatory repairs in Warrington. We are a Local & trusted, Warrington based company who have helped hundreds of customers already in Warrington with various Conservatory issues, leaks and other problems. We can solve many different problems related to conservatories for less than you probably think. These include replacing misted up or broken double glazed glass units, repairing broken handles, hinges, locks and seals on conservatory doors and windows plus much more. Slipped glass or polycarbonate Panels, leaks and missing end caps too. Generally, we can usually fix most conservatory problems so give us a call now for a free quote on 01925 205580. We have vast experience when it comes to helping customers repair their conservatories. We never urge our customers to replace their conservatory, windows and doors when cost effective repairs can usually be made. Many customers come to us after discovering problems with their conservatory roofs. 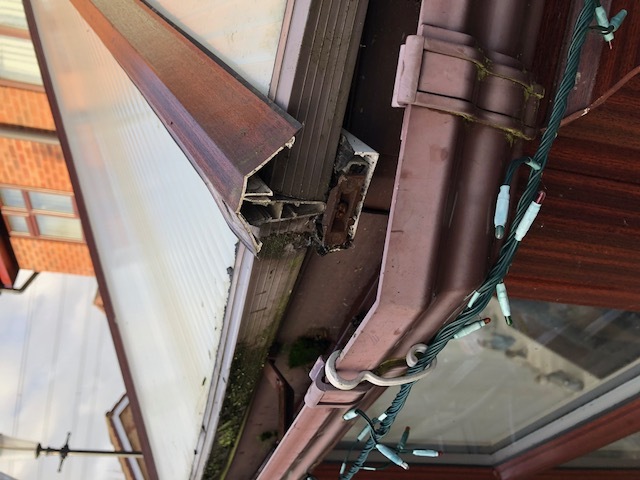 Things like broken glazing bars, damaged or missing end caps, slipped or discoloured polycarbonate or glass roof panels, leaks and draughts. All of these repairs and upgrades can keep your conservatory looking and functioning as it should throughout the year. After all you should be able to use your conservatory like any other room in the house. When you invest in a conservatory, the money you pay out can be vastly eclipsed by the further sum of value added to your home. Many people have seen their homes rise in value by approximately £17,000 after spending less than £10,000 on a new conservatory. Conservatories can also help you save money in other ways, with the extra light and warmth they bring in helping you reduce your reliance on artificial lighting and heating. Conservatories can heat themselves throughout large parts of the year due to the way they deliver warmth from outside. You can even use your conservatory as a playroom for children or a dining room. When conservatories are built from the right materials, they can serve you well all year long, not just throughout the summer months, but sometimes they do need a little maintenance and care, after all they are battered by the elements all year round. Look no further than WindowGeeks if you are planning on repairing or replacing your French doors or sliding patio doors in Warrington. We are able to offer a wide range of repair services, including adjustments and fixes for hinges, panels, locking mechanisms, glazed units and handles. We can fix problems with dropped, stuck and seized up handles offering you cost effective savings over costly full replacements. We can potentially save you thousands by choosing to replace certain damaged or worn components on your conservatory. 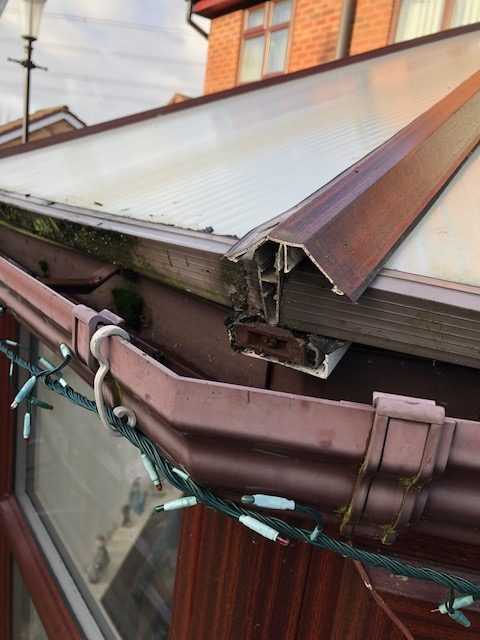 We are also able to help when you are facing broken panels, missing and worn seals, broken locks, failed double glazing and problems with door alignment, conservatory door hinges and restrictors for stopping your doors from blowing open too far in the wind. Did you know we fix bi-fold door problems too? You can reach us at any time if you do have any queries about the work we do. Why wait any longer to contact us if you require conservatory repairs in Warrington and surrounding areas. To get in touch today, call 0800 5 118 007 or click here to contact us by email.